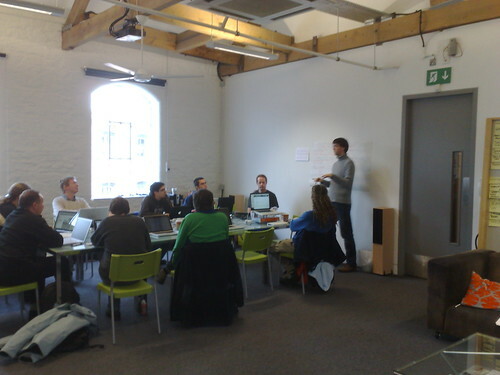 The plone performance sprint is now underway at the Pervasive Media studio in Bristol. There are about 16 plone developers from Germany, Norway, Denmark, Italy, USA, and the UK, working for 4 days to work on optimising the performance of plone. I’ll be dropping in, but unfortunately won’t be able to contribute much due to other commitments.